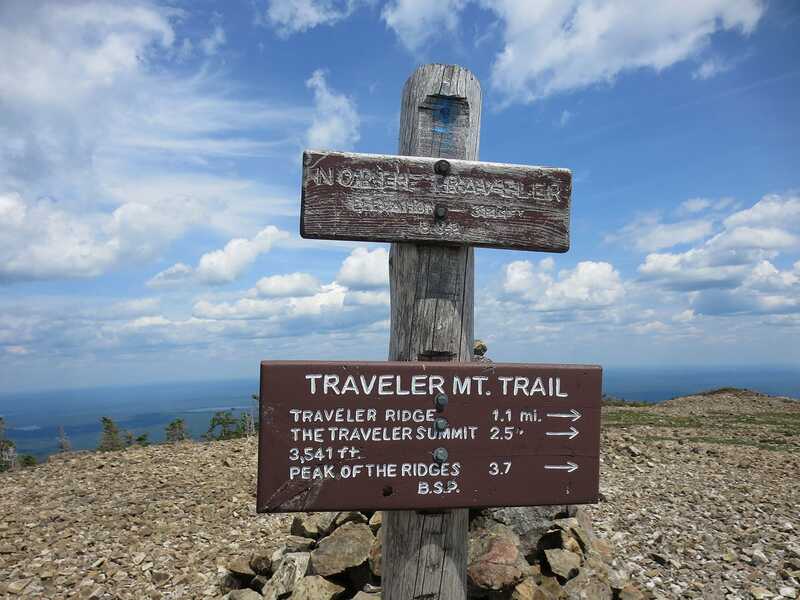 I had heard such tremendous things about Maine’s Baxter State Park (BSP) and the Traveler Mountain Loop hike in the northern part of the park, that I really had no choice but to head up north and see for myself. The short synopsis: the park and hike actually exceeded these lofty expectations. The long synopsis: read on. Are you into hiking forested trails? Check. 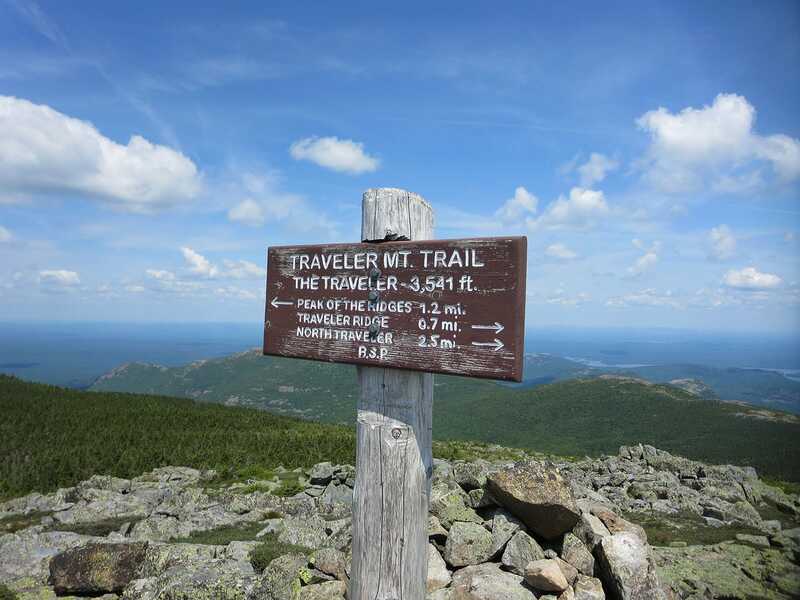 How about scrambling up rocky, challenging trails? Check. Traversing open scree fields? Check. Peak bagging? Check. Ridge walking while dreaming that you’re on your way to becoming the next famous outdoor photographer? Check. Tripping and falling Chris-Farley-style down a steep, tree-dotted hill? Check, please. Note: please do not trip and fall Chris-Farley-style. Instead, do what I did and start walking calmly at the Pogy Notch Trailhead, which is accessed at the South Branch Pond Campground. 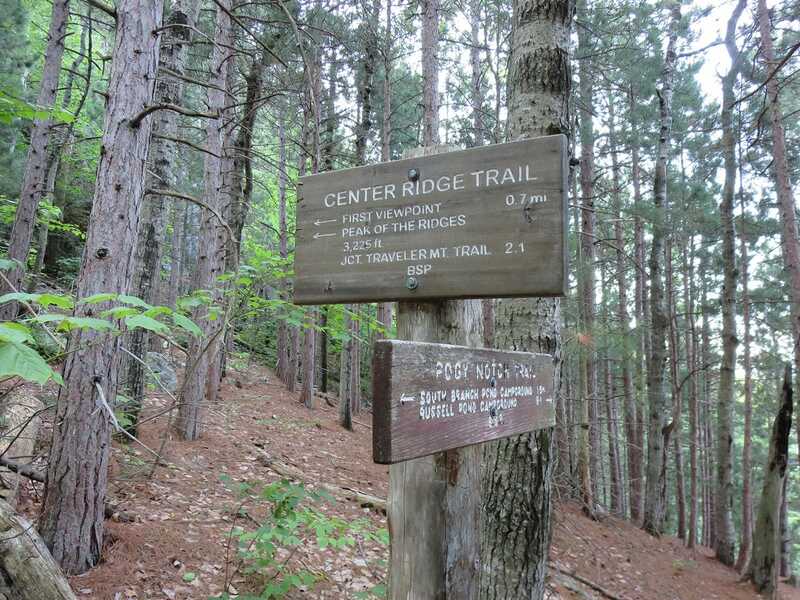 I followed the Pogy Notch Trail as it outlined the perimeter of the South Branch Pond until reaching Center Ridge Trail at about the 1.4-mile mark. 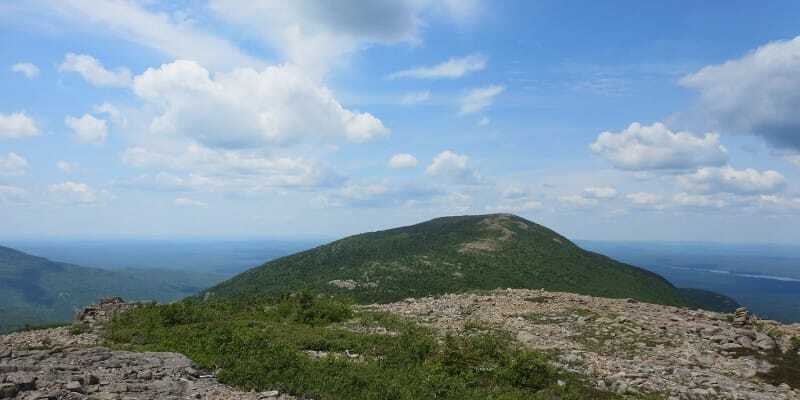 I then took the Center Ridge Trail, which starts to ascend rather quickly, toward Peak of the Ridges. 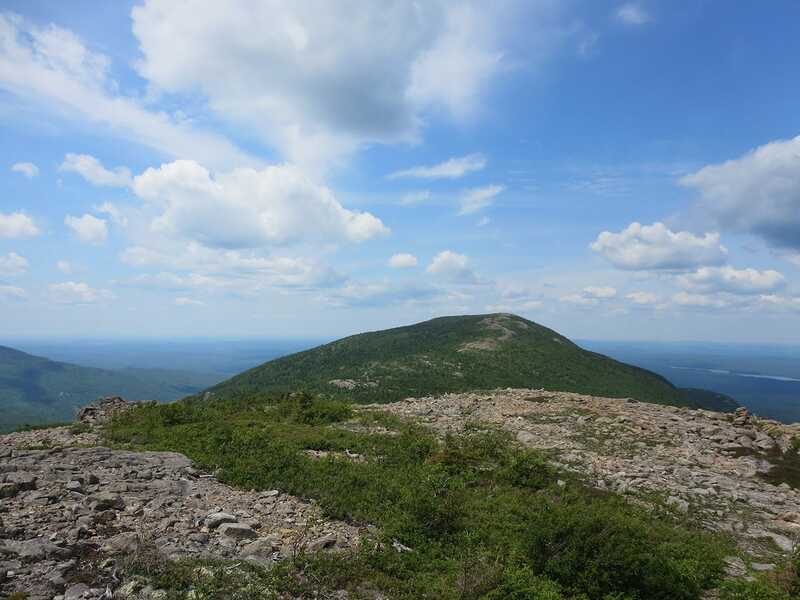 After about 2 miles of steep, rocky trails, I reached the first of three summits — Peak of the Ridges. The trail heads upward at a quick pace in parts of this section of the loop hike, so be sure to turn around every once in a while. Views started to show up in grand fashion while closing in on Peak of Ridges. 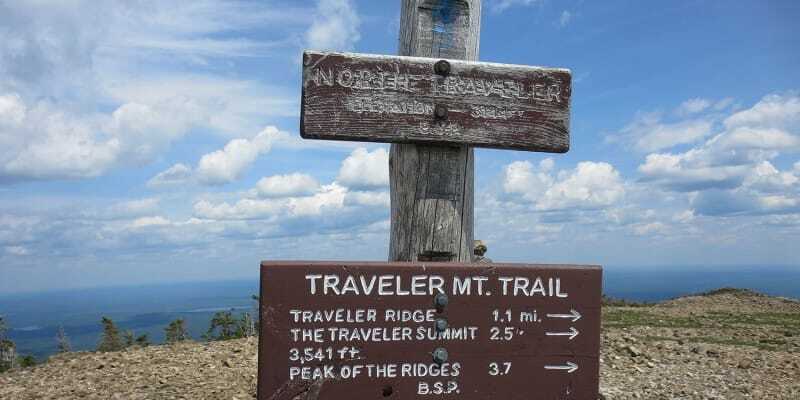 From the summit of Peak of Ridges, I set foot on Traveler Mountain Trail to step out the 1.2 miles over to peak #2 — Traveler Mountain. 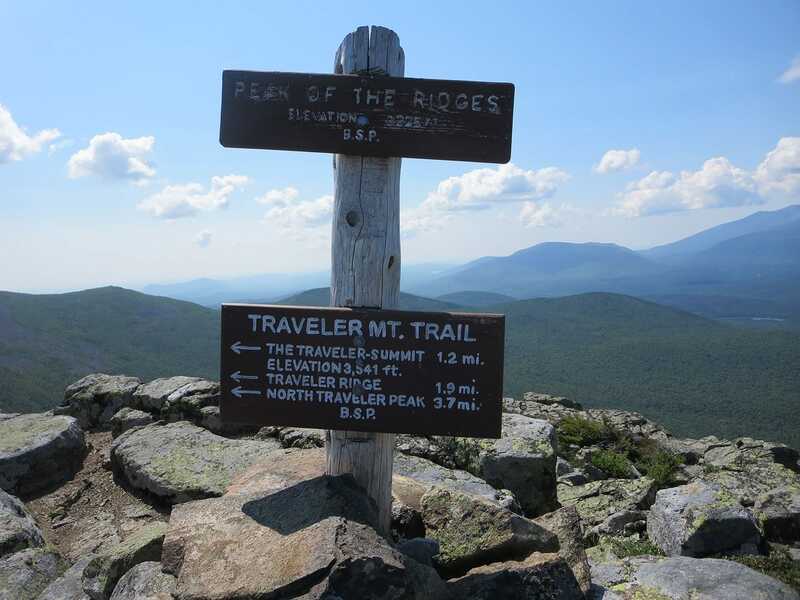 This mile-plus of hiking was largely exposed climbing over mixed terrain and included a section known as the Little Knife Edge (nearby Mount Katahdin is home to Baxter’s infamous Knife Edge). 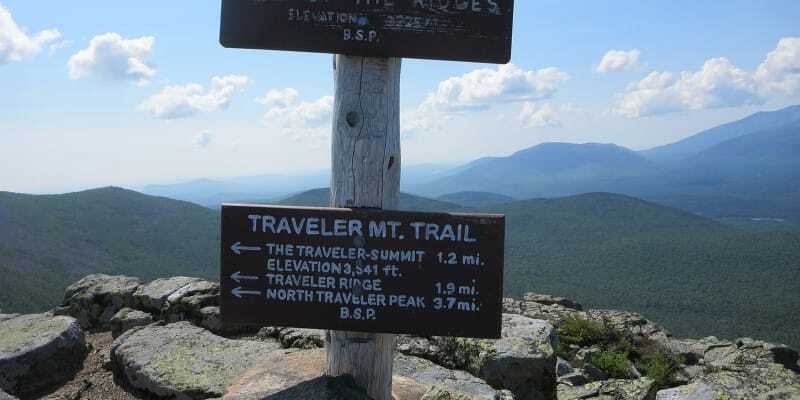 I reached the summit of Traveler Mountain and encountered the first group of hikers on the day. Feeling pretty good at this point, I took a short break and started heading north / northwest to the third and final peak of that day — North Traveler Mountain. For whatever reason, this (approximate) 2.5-mile stretch from Traveler Mountain to North Traveler Mountain was the most grueling of the entire loop hike. There was a lot of up and down and the mid-day heat was starting to show up in full force. Regardless, though, the views on this section were tremendous. 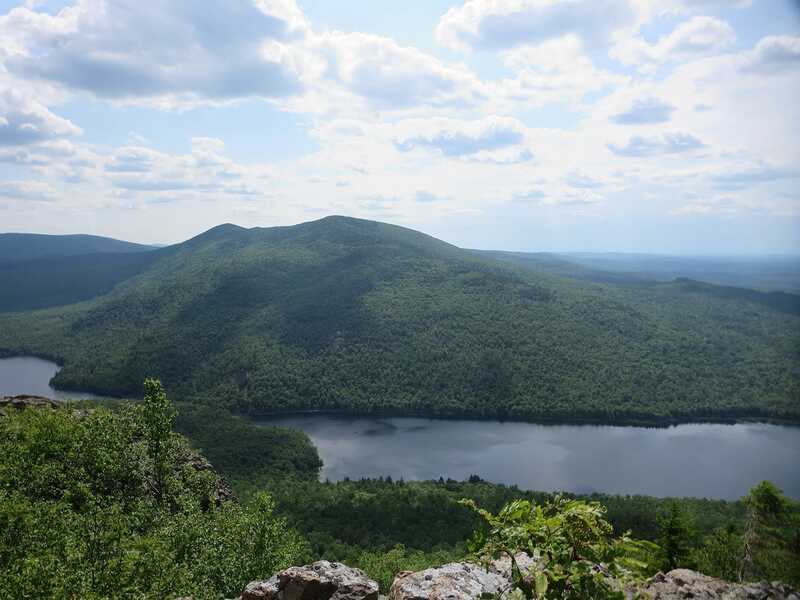 After reaching the summit of North Traveler Mountain, I took an extended break before heading out for the final (approximate) 3 miles back to South Branch Pond via North Traveler Trail. This last stretch of hiking is where I crossed paths with other hikers the most on this day. For the majority of the day, I had the trail to myself. I really couldn’t have asked for better weather on this mid-July day. Well, you know what, I could. It was a little on the hot side, but who’s complaining? Well, I suppose that I just did technically complain, but … wow, Mother Nature really did cooperate on this day (sort of). Rangers told me ahead of time to plan for a 10-hour day on this loop hike. This go-round, the loop took me about 7 hours to complete, and I’m no speedster. 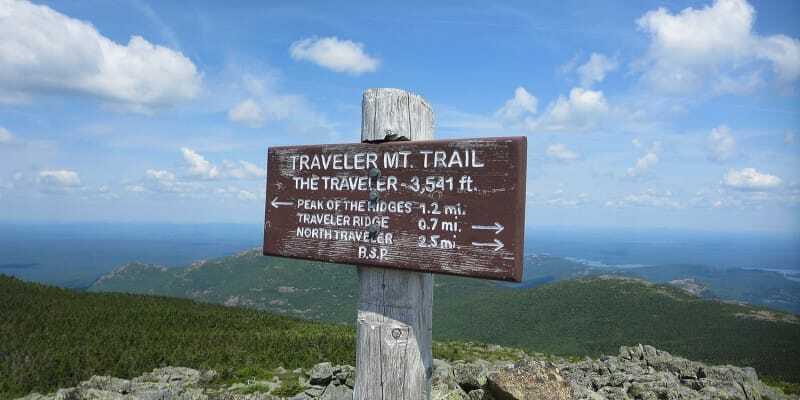 But, having now set foot on the largely exposed trail, I can see how a patch of bad weather could slow hikers down, so the 10-hour estimate is a good one to abide by. 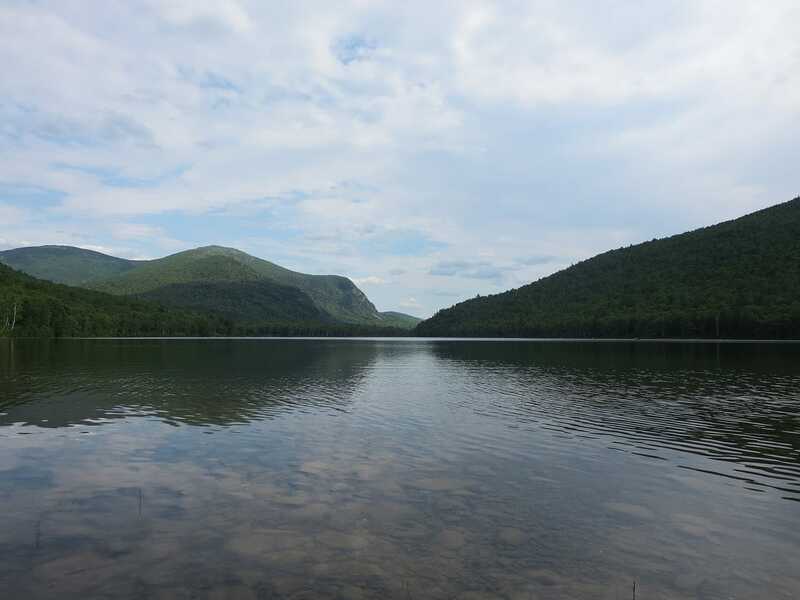 Plan for up to 10 hours, but if you complete the hike in less time, take a nice, extended break at the South Branch Pond. Canoes can be rented for as little as $1. Trailhead lat/lon: 46.1077,-68.9006. 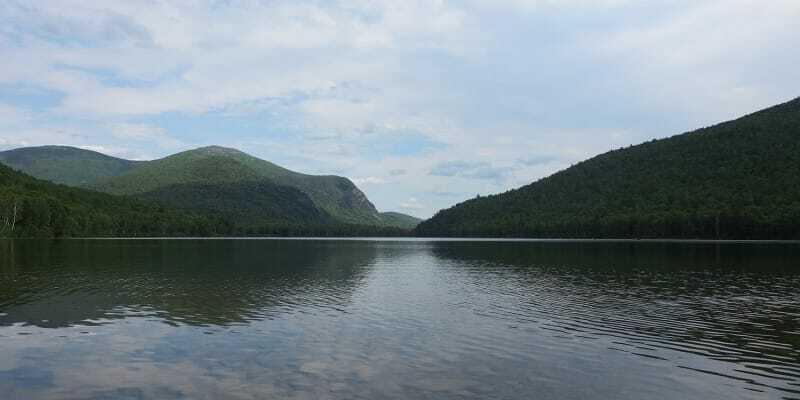 Access the Pogy Notch trailhead at the South Branch Pond Campground via Baxter State Park north entrance (Matagamon Gatehouse). 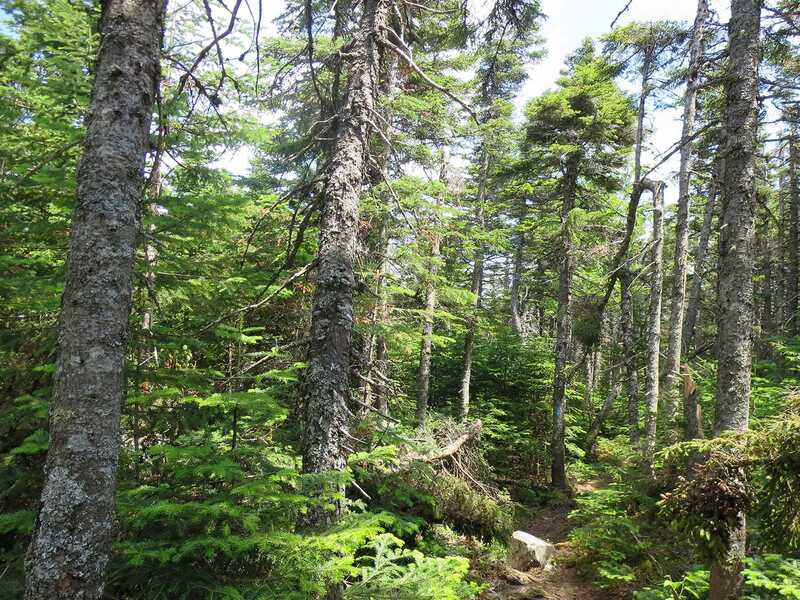 The entrance is approximately 26 miles west of Patten, ME on Shin Pond Road.